I hope we all agree about the power of reading! Books can provide entertainment, knowledge, inspiration, escapism, they can improve health and take you forward in your career…the list is almost endless. 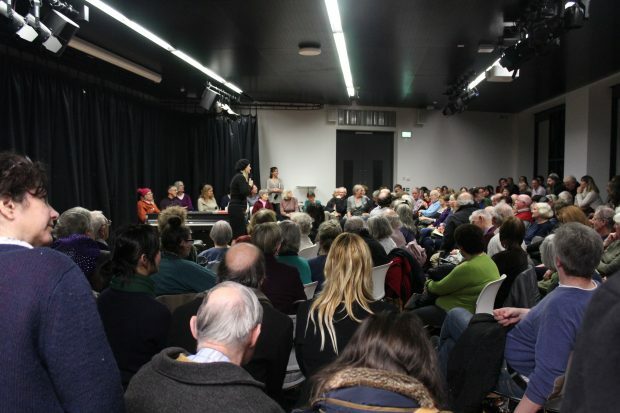 But here at Brent Libraries, while we love books, sometimes we like to take the power off the page by delivering events featuring performance, discussion and activity. We devote a lot of time and energy to our cultural events programme and I want to try to explain why. While books are great, public libraries have a unique opportunity to take all the good stuff in them to another level. We regularly hold theatrical performances related to books. For many people in our area, particularly children, surveys show that this is their only exposure to any kind of live theatre. It’s wonderful to see the children joining in and being excited by the work. This summer we featured a one man show of Roald Dahl’s The Twits. Productions like this help establish the place of books and stories as a form of entertainment for children, not just part of their classroom life. If we can show kids that books are a route to laughter, silliness and fun with their friends, then hopefully we can lead them into that important habit of reading for pleasure, which can be a key to opening so many doors throughout life. It’s not just for the kids! This month we had a wonderful show featuring Colin Pinney performing as Rev. Patrick Bronte. Acting as the father of the literary Bronte family, he told the tragic and moving story of the family, weaving imagined scenes from their lives with the real words taken from novels, letters and poems. I studied Jane Eyre at school but this performance certainly taught me something new while keeping me thoroughly entertained. Shows like this are a great way of encouraging lifelong learning and helping adults find new topics to fire their interest or inspiring them to revisit subjects dropped as they ended their school days and embarked upon more their workaday adult lives. Having someone draw you in through a performance can often be more compelling than seeing a book of poems on a library shelf. Sometimes us adults need a little push to try something new! 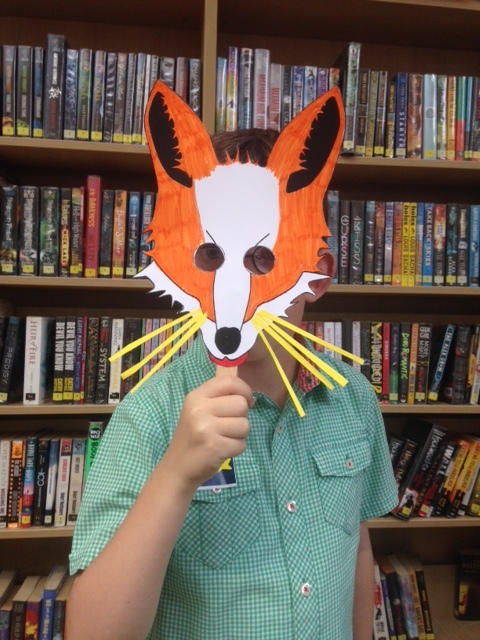 We’ve offered some great opportunities to meet authors in our libraries. For anyone who feels reading a book is a one way conversation these offer a chance to express their opinions on a text. It’s also great for children to see that writing is a career as well as a fun hobby or chore at school! Aspiring adult authors can also pick up some handy tips at these sessions. A recent very successful author visit was from Melissa Benn. It was her non-fiction work on education and feminism that stimulated the most discussion. It offered the audience a chance to discuss issues important to them in a friendly and informal environment. As we discussed during the session, many people, particularly young women and girls, can find it intimidating to express their views out loud and, while discussing this, we demonstrated that it can be encouraged in the right forum! Books can help us form our opinions but libraries can take this further by providing the opportunity to express our opinions on literature, social issues…and many other topics. Books inspire creativity and, at Brent libraries, we are ready to grab this from our users right here in the library! We offer a host of events for adults and children where they are invited to create the work. 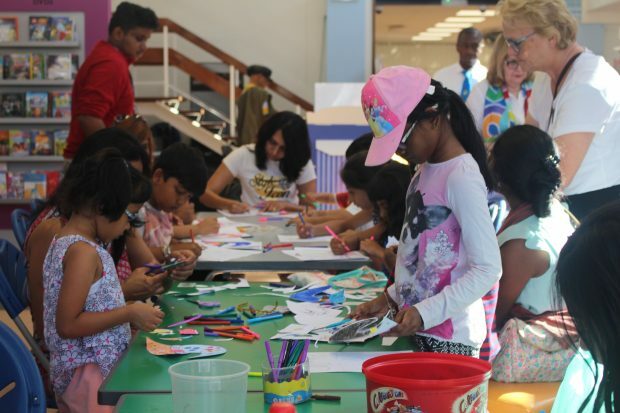 Over the summer, we held craft events for children linked to this year’s theme of Roald Dahl. Enjoyed the BFG? What would your giant friend look like? Why don’t you draw him? If you could have a magic factory what would they make there? 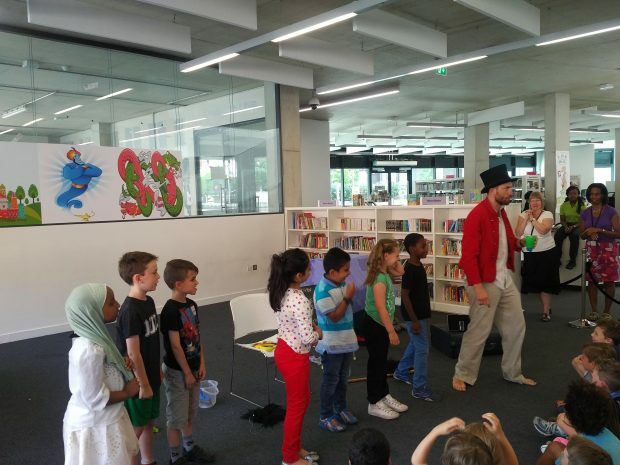 Like the theatre events, these events make the library a place of fun for children and they also help those less confident with their reading feel welcome and like they have a place there too. For adults, some of the most popular events are creative writing workshops. In theory, writing is a hobby that you can do anywhere, but in practice, an inspiring environment and people to share ideas with can really help! Libraries have a power that goes beyond the books on their shelves. Library events are a great way to unlock those books for children and adults who might not otherwise find a way inside. They help make the library a fun, stimulating place to be where you can learn something new without even trying. In short they can bring the books to life.